Growing up you were the shy kid. You spent most of your junior high dances glued to the wall with your eyes staring down at your feet. Now that you’re a big boy and working in a hazardous working environment, this is no time to be a wallflower. If you work on a ... (see full details) (see specifications) #OCCLUX-LST2-FR. Growing up you were the shy kid. You spent most of your junior high dances glued to the wall with your eyes staring down at your feet. Now that you’re a big boy and working in a hazardous working environment, this is no time to be a wallflower. If you work on a construction site around heavy traffic, or with heavy machinery, you need to be seen. Occunomix High Visibility LUX LST2 FR Long Sleeve Shirt makes sure you’re seen day or night. This long sleeve, high visibility yellow shirt is ANSI class 2 certified to comply with industry standards for safety. The brightness of the yellow will make you stand out; you’ll be a walking highlighter marker. For the utmost visibility at night, 2-inch 3M Scotchlite Reflective Material stripes are strategically placed on the shirt--2 vertical and one 360° horizontal stripe. You’ll be seen front to back. Made of 100% ANSI wicking polyester treated to be flame-resistant, you’ll stay drier and more comfortable all day or all night thanks to the breathable, moisture wicking characteristics of the fabric. You’re not that shy kid anymore. You might still be a little shy around the ladies, but when it comes to work, you know you have to be bold and stand out. Occunomix High Visibility LUX LST2 FR Long Sleeve Shirt makes sure you do just that. Sizing is true. I will say it shrunk slightly when I washed it the first time. Yes, I washed it in cold and dried on low. It still fits, just slightly smaller. I might be tempted to get the next larger size next time just because I like my shirts a little baggy and the reflective stripes prevent them from stretching while putting it on or taking it off. My son has to wear these for work. They are highly visible and comfortable as well. He likes this brand and thinks they hold up well. I did not purchase on this site, but everything we have gotten from Working Person has been great, so in the future, I will order here now that I know they carry them. Fit is true-to-size and a great product. They have held up well, and he wears them daily. Will definitely keep purchasing these! 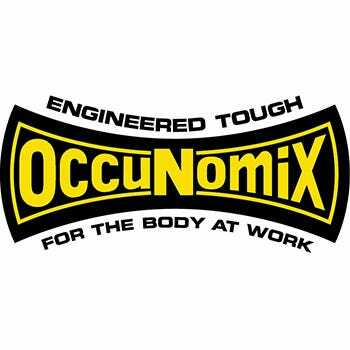 Occunomix Shirts: Men's Yellow LUX LST2 FR Hi Vis Long Sleeve FR Shirt is being added to your cart.